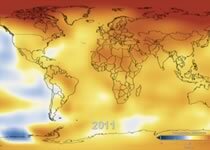 This Intergovernmental Panel on Climate Change Special Report looks at the impacts of global warming of 1.5° C above pre-industrial levels. 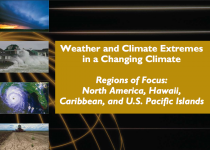 The Fourth National Climate Assessment Volume II focuses on climate change impacts, risks, and adaptation in the United States. 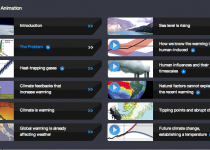 The Climate Science Special Report assesses the science of climate change and serves as the foundation to assess climate-related risks and inform decision-making. 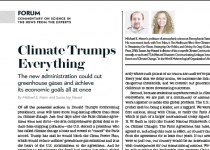 Michael E. Mann and Susan Joy Hassol reflect on the Trump Administration’s handling of climate change and the November 2018 National Climate Assessment. 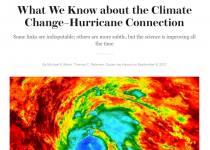 Michael Mann, Susan Hassol, and Thomas Peterson write about the science of hurricanes and climate change — what we know and how we know it. 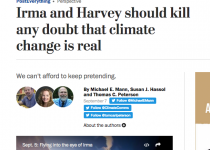 Michael Mann, Susan Hassol, and Thomas Peterson write about how global warming is making hurricanes like Harvey and Irma more destructive. 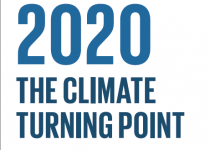 This report explains why and how heat-trapping gas emissions must begin declining rapidly by 2020 at the latest if the world is to avoid crossing the temperature thresholds agreed to in Paris. 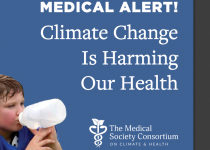 12 medical societies summarize the threats climate change poses to our health through extreme weather, reduced air and water quality, increases in infectious and insect-borne diseases, etc. In the aftermath of the presidential election, Michael E. Mann and Susan Joy Hassol reflect on the election results in the context of climate change. 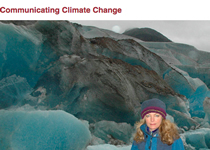 Susan Joy Hassol and colleagues write about communicating the connections between extreme weather events and climate change. 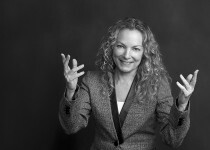 In this NASA blogpost, Susan Hassol discusses how to move past fear and despair over climate change and instead face it with courage, optimism, and integrity. 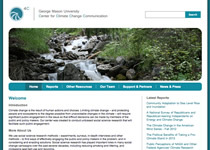 This article addresses issues of language, framing, and other aspects of how scientists can be more effective in communicating climate change. 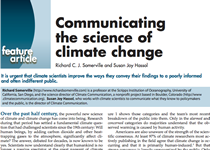 This article discusses some of the problems with how climate scientists communicate and offers practical suggestions for improvement. This post by Jeff Masters captures highlights of Susan’s talk at the American Geophysical Union Fall Meeting including top ten reasons for hope on climate change. Following an MIT panel, Susan was interviewed for her thoughts on climate change, communication, and the challenges and opportunities ahead of us. 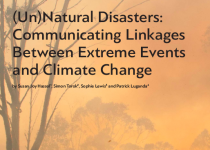 Reports on the connection between climate change and extreme weather events; produced by Climate Communication and reviewed by our Science Advisors. 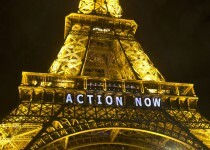 Susan Hassol on how language and ideology contribute to stalling action on climate change – and how we can resolve these issues and unleash our ability to resolve the problem. 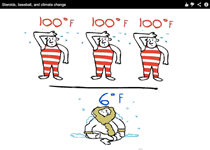 These videos, created by Climate Communication, animate and explain the science behind climate change, potential impacts, and what we can do going forward. 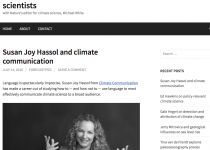 Nature magazine’s climate science editor, Michael White, interviews Susan on language and the art of climate communication for this hour-long podcast and short write-up. 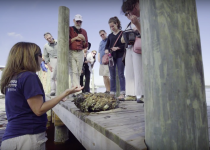 These videos show portions of a workshop for media professionals on climate change and its impacts in coastal North Carolina. 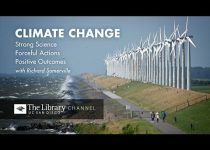 Richard Somerville’s April 2016 public talk at the UC San Diego Library about the science of climate change and why there is reason for hope. 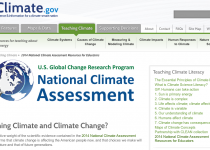 This page summarizes key points of the National Climate Assessment and suggests ways that educators might use it to talk about the human impacts of climate change that are affecting Americans now. 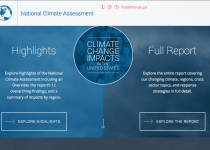 This is the most comprehensive account to date of the effects of climate change on the US. For the first time the report is available on a state of the art, interactive website for viewers to explore. 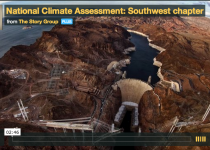 In these videos, scientists and citizens from around the country personify the scientific information detailed in the 2014 National Climate Assessment. 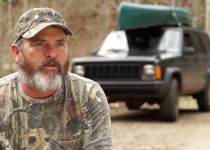 This video series captures the voices and experiences of North Carolinians whose lives have been affected by changes in the climate. This website offers clear responses to all the typical contrarian arguments. 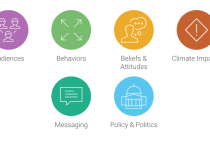 Climate Interactive develops simplified yet scientifically rigorous models that can help people see the climate impacts of various policy choices and emissions pathways. 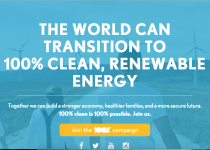 This site lays out how we can accelerate the transition to 100% clean renewable energy. 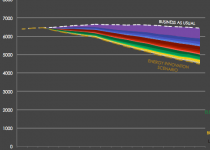 They’ve created renewable energy plans for all 50 U.S. states and many countries. 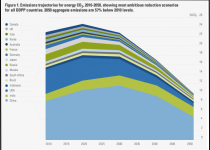 This global collaboration of energy research teams across 16 countries charts practical pathways to deeply reducing greenhouse gas emissions. Through research and analysis, Energy Innovation seeks to accelerate progress on clean energy by identifying and supporting policies that most effectively reduce greenhouse gas emissions. 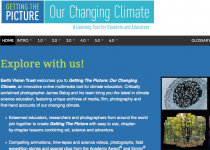 This site provides a guide to teaching climate science, as well as scientifically and pedagogically reviewed digital resources (labs and activities for a range of students) for teaching about climate and energy. 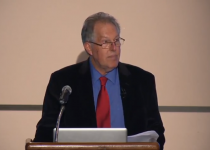 Bill Blakemore speaks with Science Director Richard Somerville on the four big questions of global warming. Richard Somerville gave the 4th Annual Charles David Keeling Memorial Lecture at Scripps Institution of Oceanography, UCSD. What’s causing unusually hot temperatures in the U.S.? 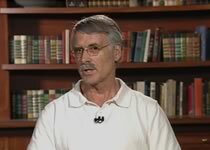 Science Advisor Kevin Trenberth was interviewed by Judy Woodruff on Newshour. 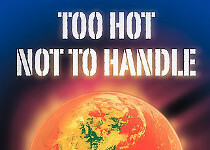 He spoke about recent extreme heat and its impacts, and the connection to climate change. 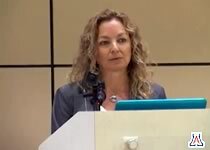 Susan Hassol addressed framing, psychological and cultural issues, and questions involving language in this talk on climate communication. 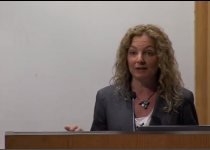 As plenary speaker at EarthWeek 2012, Susan Hassol discussed the gap in public understanding of climate change, and how scientists can improve their communication. This highly comprehensive and accessible report on the impacts of climate change in the U.S. finds that global warming is unequivocal, primarily human-induced, and its impacts are already apparent across our nation. 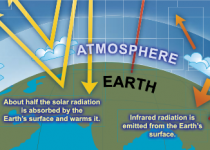 AtmosNews takes a lighthearted look at why some people call carbon dioxide (and the other greenhouse gases) the steroids of the climate system. 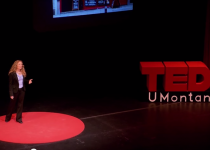 NCAR scientist Gerald “Jerry” Meehl narrates this playful video. 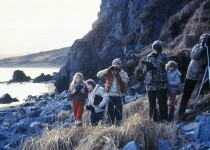 Susan Hassol wrote this documentary, selecting stories and scientists to best convey the impacts of climate change on Americans and communicate the variety of solutions already underway to address the climate challenge. 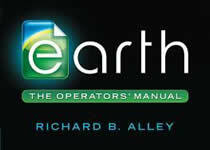 This series hosted by glaciologist Richard Alley includes three one-hour specials about climate change and sustainable energy. 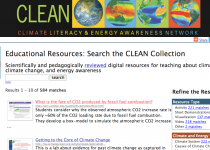 The website provides a great set of additional resources. 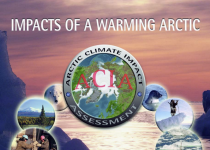 The Arctic Climate Impact Assessment is an evaluation of Arctic climate change and its impacts for the region and the world. This synthesis report makes the findings accessible to policy makers and the public. 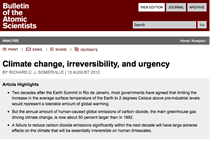 A commentary site on climate science by working climate scientists for the interested public & journalists. 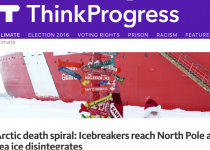 The site aims to provide a quick response to developing stories and provide context sometimes missing in mainstream commentary. 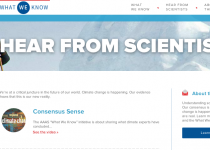 The What We Know Initiative aims to educate the public on climate change “Risk, Reality, and Response.” It includes a short report of main messages, and videos where experts discuss the facts of climate change. This award-winning site includes well-presented data, visualizations, and resources for children, educators, and students. 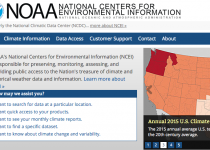 NOAA’s National Centers for Environmental Information is the world’s largest repository of climate data. 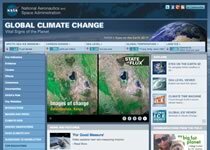 This NOAA climate website includes a variety of resources including a series of videos featuring Deke Arndt, Chief of the Climate Monitoring Branch at NOAA’s National Climatic Data Center. 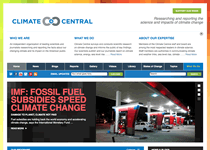 An independent organization of scientists and journalists who research and report on climate change and its impacts. 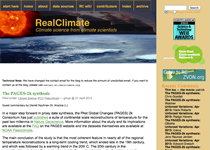 Home to Climate Matters, localized climate reporting resources for journalists and weather casters. 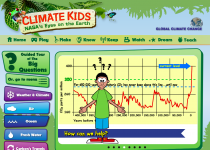 This site allows kids to explore the causes and impacts of climate change, along with ideas for solutions. Fun and interactive (videos, graphics, games), this is ideal for a younger audience. 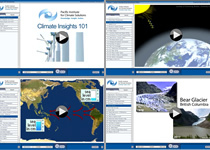 Geared to middle to high school students, these modules are teaching aids on the basics of climate science. There are modules of a couple of minutes, and longer ones of up to 20 minutes. Each is followed by an optional quiz. 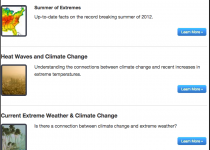 In 2007, the Intergovernmental Panel on Climate Change included these FAQs in an effort to make the basics of climate science more accessible to non-scientists. Susan Hassol worked with the authors to edit this piece. 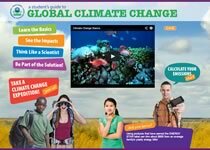 An interactive video series by the Alliance for Climate Education, educating young people about the science of climate change and empowering them to take action. Quick, simple, clear answers to often-asked questions about climate change from the New York Times‘ environment reporter Justin Gillis. 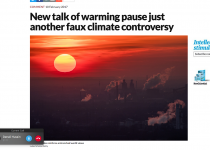 Richard Somerville argues that a failure to reduce CO2 emissions significantly within 10 years will have large adverse effects on the climate. 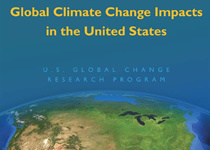 Yale and George Mason work together to produce some of the most comprehensive reports on the American public’s perceptions of climate change including their “Six Americas” work. A great resource for children and young students that includes information modules, interactives, and image galleries and activities teachers can utilize. 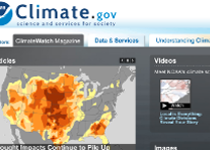 NASA produced this animation illustrating planetary warming from 1880 through 2015. 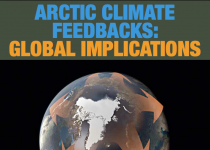 This report assesses of the latest science on Arctic feedbacks and their implications beyond the Arctic. Edited by Susan Hassol and Martin Sommerkorn and written by an international team of scientists. As one of its series of 21 synthesis and assessment reports, the U.S. 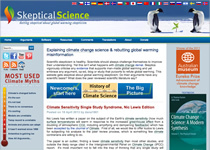 Climate Change Science Program published a report in June 2008 on Weather and Climate Extremes in a Changing Climate. 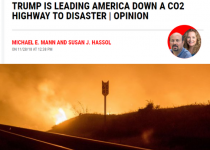 Susan Hassol and Michael Mann discuss the latest faux climate controversy promoted by right wing tabloid press and politicians. 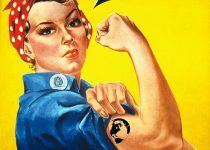 This interview by NASA JPL’s Sharon Ray provides an in-depth discussion of Susan Hassol’s ideas and motivations. 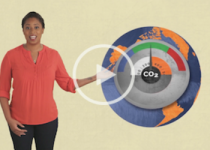 This video series shows young people taking action in their communities on climate change and other environmental issues. 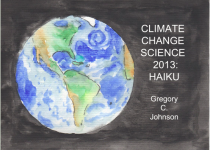 The entire IPCC report in 19 illustrated haiku: An oceanographer’s work of art that doubles as powerful talking points and a visual guide to the main messages of the 5th Assessment Report. 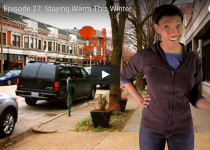 This series by Communitopia uses short videos to discuss aspects of climate change science and solutions, incorporating news, humor, and easy actions for viewers to take. 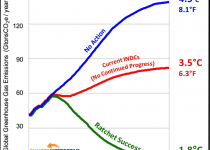 This article discusses how scaling back carbon-intensive growth does not mean sacrificing quality of life, but rather enhances it. 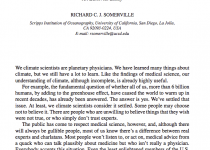 In this essay, Richard Somerville discusses using metaphors that harness the language of medicine to effectively communicate climate issues.